Many women treat themselves with a pedicure as a reward for a hard week of work, but according to AOL news, Nancy Swanson got a lot more than she bargained for at her local nail salon. Nancy began to experience flu-like symptoms and then noticed that her skin had started to take on a yellow appearance. She became so ill that she felt close to death and sought a doctor’s opinion. Her medical providers found that she had contracted Hepatitis B, an incurable liver disease. Since thousands of Vietnamese are employed in U.S. nail salons, Dr. Robert Gish of UC San Diego has written a health policy for the Vietnamese government outlining the risks associated with Hepatitis B. People can be carriers of Hepatitis B without presenting any symptoms and are capable of infecting others. 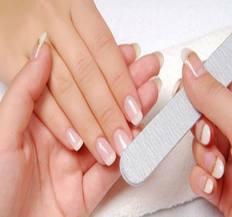 To protect yourself from infection, look for a prominently displayed business license, make sure all clippers and scissors are disinfected properly and only disposable nail files are used. For extra protection, take your own polish to the salon. Also keep in mind that the whirlpool jets and drains of the foot tub are places where the deadly bacteria can lurk. For more information about personal injury claims, visit us at http://www.robinettelaw.com or call 304-594-1800. For 24 hour help, call 304-216-6695.